Born and raised in Chicago, Dancing English creator Daniel Griffin has lived and made music in Spain for over 20 years. He is Spain´s #1 children´s performer in English, having played 2,500 shows in Spanish schools. As a songwriter, for Oxford University Press and other publishers, he´s written and/or produced some 400 songs for English-language textbooks—plus 9 of his own children´s CDs. Renowned Spanish publisher Espasa commissioned a book to be written around his songs, Aprende inglés con Dancing English. Before pursuing music full time, Daniel spent two years in Chicago as a bilingual primary classroom teacher, as well as a year teaching English to adults in Madrid. He´s also done numerous workshops training teachers how to combine music and movement. 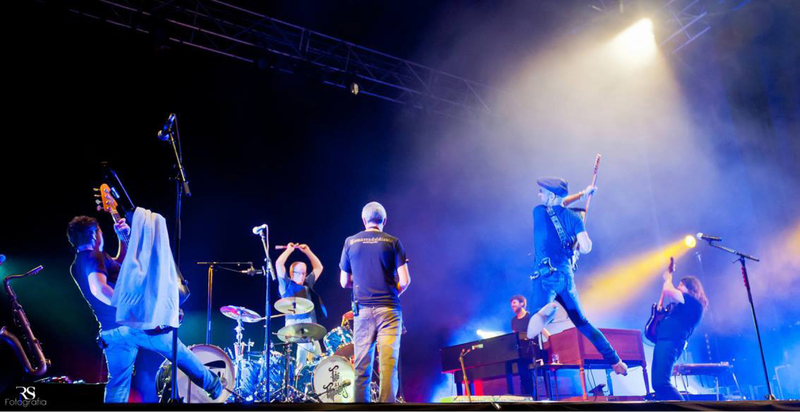 Daniel´s musical alter ego is as the drummer for platinum-selling Latin supergroup Fito y Fitipaldis, with whom he´s recorded and toured since 2009. He´s also toured or recorded with Latin rock legends Miguel Rios, Tequila, Ariel Rot, Bunbury, Calamaro and Amaral. Three of the albums he´s played on have been nominated to the Latin Grammys. Daniel graduated Phi Beta Kappa from Northwestern University, receiving a B.A. in the Writing of Poetry, with minors in Music Education and Hispanic Studies. Entering initially with a scholarship to study music, he received the Outstanding Writing Major award his final year.